Bay Area rail commuters have several train networks to choose from to move about the region, and Caltrain undoubtedly ranks as one of the better known systems. But the train service that runs from San Francisco through the San Mateo Peninsula and on to the San Jose area received attention in January it would rather not have, as there were two separate incidents that resulted in fatalities. 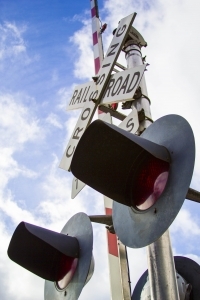 With such a tragic start to 2014, our Bay Area train accident attorney Gregory J. Brod is among those people who are asking questions about train safety in our region. And here is the most sobering thought to work with as a starting point for asking questions about rail safety: Thirteen people died in all of 2013 when they were struck by a Caltrain vehicle, making the two such deaths in January 2014, one on Monday, Jan. 20, in Santa Clara, and the other on Friday, Jan. 31 in Redwood City, such an unsettling statistic. The first rail fatality of 2014 occurred on the Martin Luther King Jr. holiday when, according to the San Jose Mercury News, a Good Samaritan named Philip Scholz died while trying to save the life of another person. Scholz, who was waiting for a train ride home while at the raised platform at the Caltrain Santa Clara station, saw another man down on the tracks. He then dropped his backpack, lay down on his belly and reached for the other individual on the tracks. Unfortunately, a commuter train rushing through the station at 50 to 70 mph did not stop and slammed into the two men at about 5:30 p.m., killing Scholz. The identity of the other man, who survived the incident, has not been released. 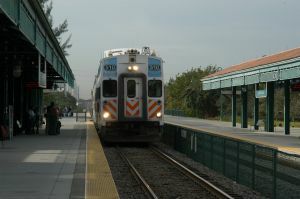 Surveillance footage of the incident revealed that Scholz was looking at the man on the tracks, perhaps even talking to him before he decided to attempt to pull the man to safety. However, it is still not known why the man was on the tracks in the first place, nor how he was able to survive the collision with the Caltrain. In the second railroad tracks fatality of this year, which occurred at about 6:15 a.m. on the last day of the month, a woman was killed when she was struck by a Caltrain at the Redwood City station. As in the case of the tragedy in Santa Clara earlier in the month, the Caltrain that killed the woman was a fast-moving express train that was not scheduled to stop at the station on its way north to San Francisco. According to the San Francisco Chronicle, the circumstances of the woman’s death are under investigation and her identity has not been released. Many questions remain to be answered concerning both incidents, but with the common element in both being that the two Caltrains involved were fast-moving express trains not scheduled to stop, it begs the question of what can be done to improve passenger safety in such a hazardous situation, and studies will have to follow to determine what, if any, measures can be taken to address the problem. Whenever a person is injured or killed in a collision with a train, there is no doubt, however, that they or their loved ones, need to secure experienced legal advice as soon as possible. If you or a loved one has been injured or killed in a collision with a train, please contact the attorneys at the Brod Law Firm for a free consultation.